I stand before you today to tell all of you how excited it makes me to say this. If you have been following my sparse internet presence as of late, you have heard hints here and there of the news that I am going to be featured in the SFMOMA in downtown San Francisco. The SFMOMA Artist Gallery (their more contemporary and larger artist representation wing located at Ft. Mason) is in charge of curating the windows that face Minna St. and Natoma St. on the sides of the Museum itself in Downtown San Francisco. After making a personal goal years ago to myself of getting my work featured in these windows someday, it is happening. I have them for a year, and the first installment in a four part saga that runs from June 2013-June 2014 begins this June 8th. Beyond my wildest dreams this has become a reality. 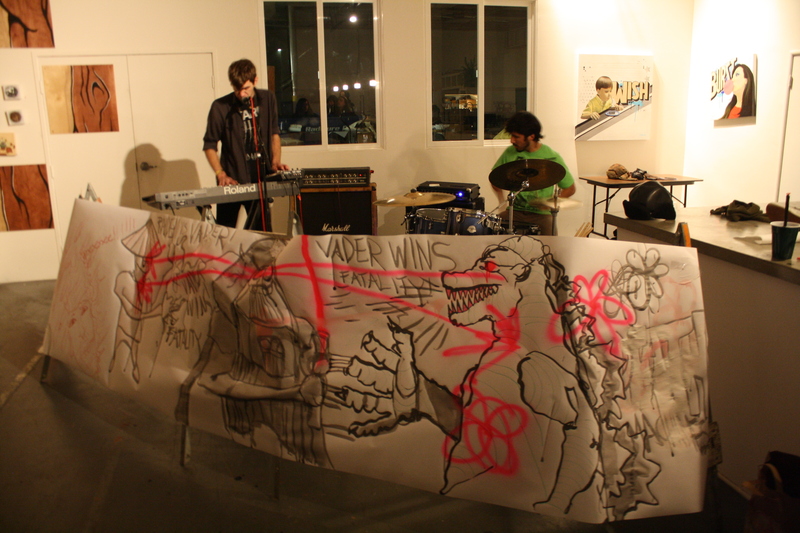 This above shot is from my Birthday Performance Art Show at LeQuivive Gallery in Oakland January 16, 2013. I will be running my programming in the three window bay units on Minna St. and using the Natoma side here and there as a background for performance work and possibly for intimate special engagements and explorations in new installation environments from the world of Unstoppable Tomorrow. The three pieces for the first installment of the Minna St. windows are complete. I may add some smaller relics and mixed media pieces to the windows as the date moves closer, but for now, these are the pieces. Two are brand new, and both as of yet un-named fully, and the third is in fact from July 2011. It is called Event Elation and has only been shown once here in the Bay Area (it was out of my grasp for a year due to unforeseen issues with a curator but is now happily back in my hands). 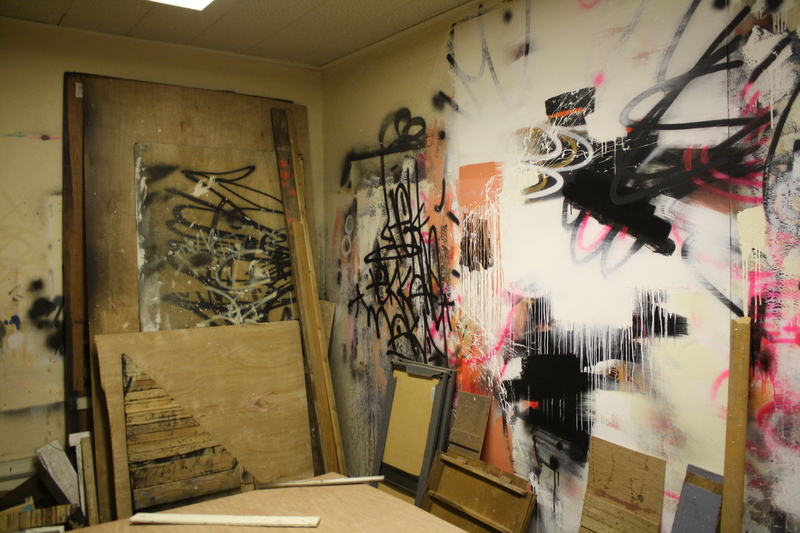 So without further adieux here are images of these 8'x4' Mixed Media on Wood Panel Pieces!!! !